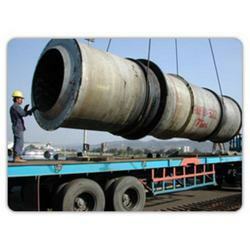 We are able to render Cargo Handling Service facilities to respectable clients. 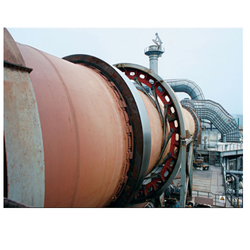 These services are rendered to cater to the demands of mining facilities, power generation plants, petrochemical and oil refineries and steel mill construction projects. In addition to this, our professionals make sure to render effective, reliable and timely executed services in accordance with the diverse demands of clients. Our professionals make sure to utilized innovative techniques and modern machines in the execution process of these services. In addition to this, our services are known to ease the routing and allied tasks accordingly. Consignment by open trucks and trailer plays a vital role in shipping goods and equipments. Many dealers try to out do others to offer best possible offers at best possible rates. Heavy truck and trailer dealers provide you new and used trucks and trailers for sale along with service, parts, rentals, financing, and consignments. They also sell trailers for gravel, oilfield, heavy hauling, mining, logging, construction and transportation like end dumps, side dumps, gravel boxes, step decks, oilfield floats, semi trailers and used trailers as well. By consigning your equipment at Royal Cargo Movers you get high traffic exposure, a knowledgeable sales team working for you effectively. In addition to this, we offer advertising and marketing plus finance office to support your sale. Royal Cargo Movers value their clients and hence work completely for customer's satisfaction. Consignment is basically the act of consigning, which actually means placing a person or thing in the hand of another, but retaining ownership until the goods are sold or person is transferred. This may be done for shipping through a consignment shop (or dealers) and one of the best ways is consignment by trucks and trailers. The relation between the two parties is that of consignor and consignee and not that of buyer and seller. Where consignor is the person who actually owns the equipment. By consigning goods and equipments to a consignee, it is assured that the consignor is entitled to receive all the expenses in connection with consignment and then pays to consignor when all goods are sold. So, without a doubt, consignment by Open Trucks and Trailers is an efficient way to consign your goods. Our Ocean Freight partners are capable of meeting your challenging deadlines of overseas shipping tinerary, whether be it Automobiles, Engineering Goods, Garments, Pharmaceuticals, Chemicals. 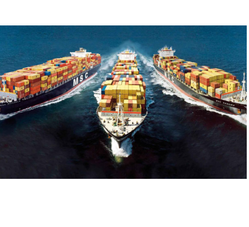 We can ship FCL (full container load) or LCL (less than container load) shipments anywhere in the world we are capable of handling Door to Door shipments, DDP’s ,DDU’s and Free Hand cargo shipment, we have our own Customs Brokarage License Registered in All Major Ports on India.